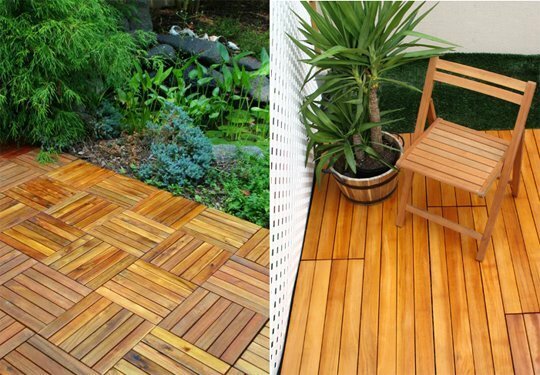 Not everyone has a spacious backyard, but that doesn’t mean you can’t give your outdoor space its own unique flare. 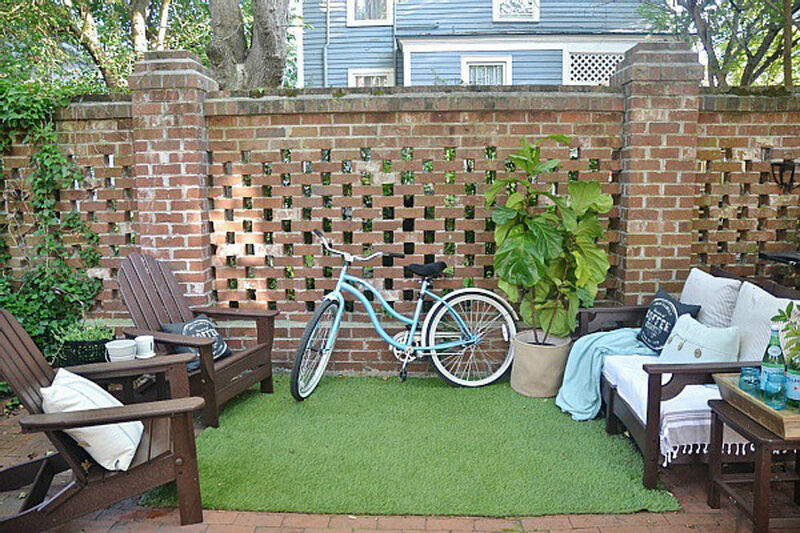 Check out our favorite ideas for amping up a smaller yard. 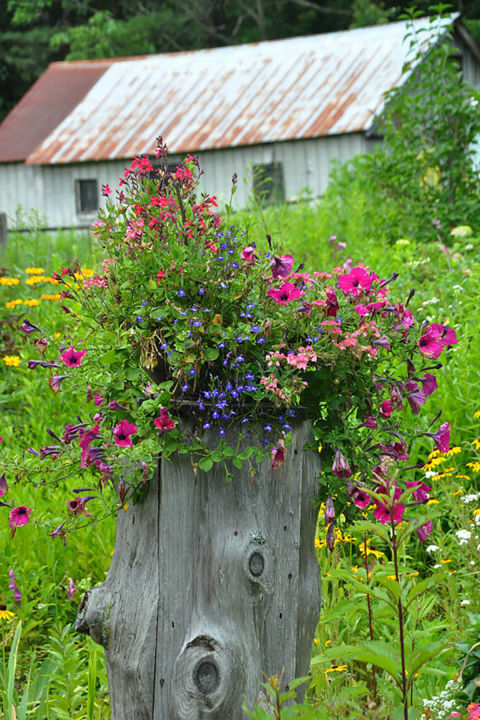 If you’ve got an old tree stump in your backyard, rejoice—they make the most beautiful planters. 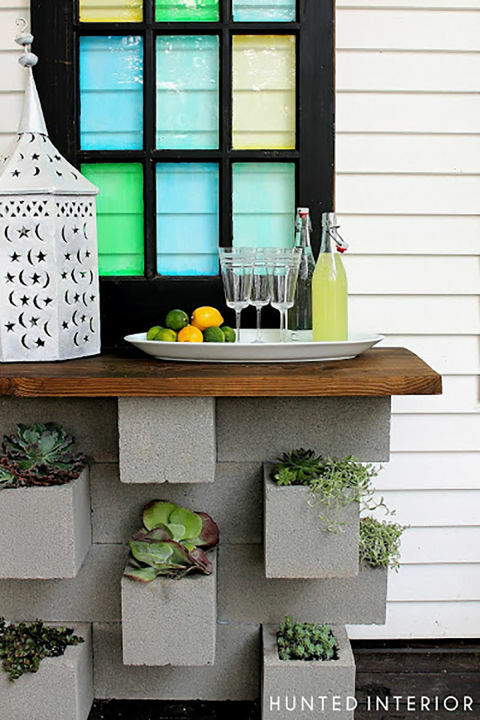 Use cinder blocks to create a small table or bar for your outdoor space, and use the holes in the blocks for planting. It’s a 2-in-1 deal! 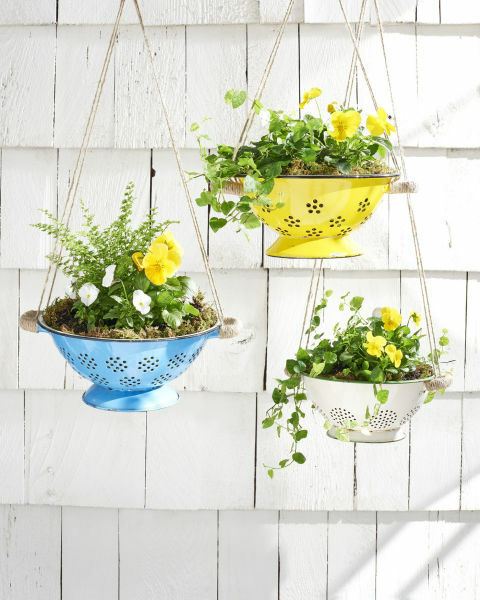 Hanging your plants leaves extra space below; plus, these colorful colanders make the most adorable vessels for flowers. No room for a fancy bar? 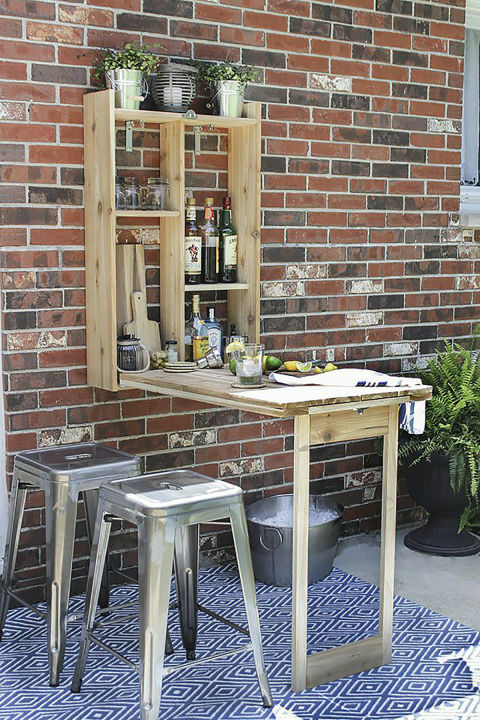 Try installing a Murphy bar outside, which simply folds down into a table whenever you’re ready to use it! 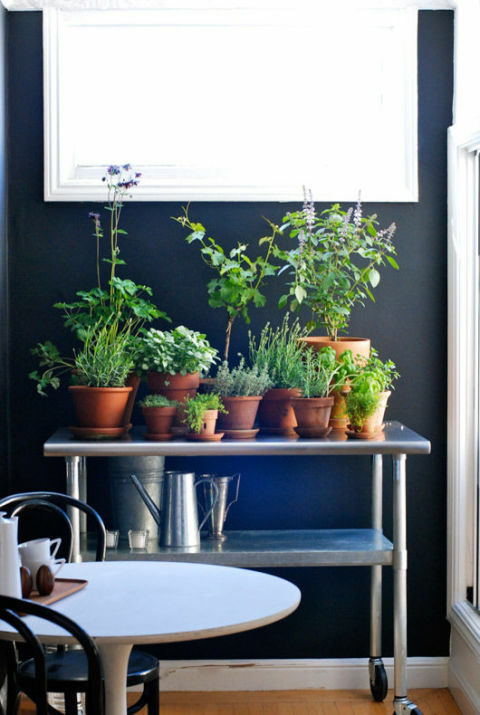 The shelves are perfect for storage, and you can stack cute plants on top. 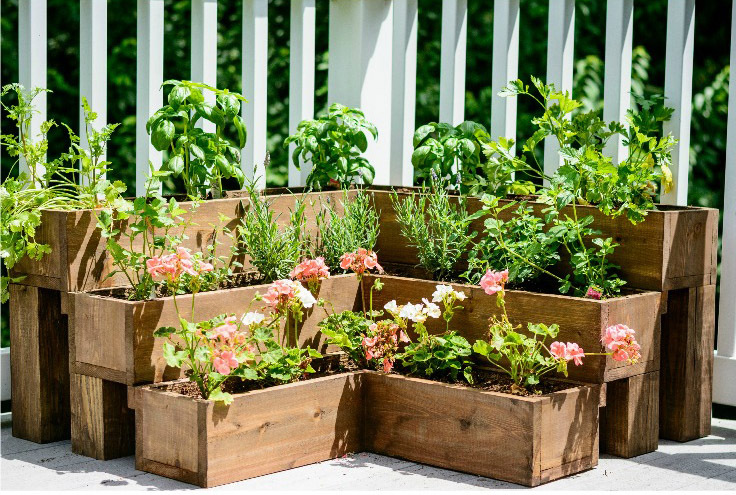 Tiered planters will maximize the ground space you have available for planters and herb boxes. Offering the illusion of luscious green lawn, a faux-grass rug will help make your patio space look bigger than it really is. 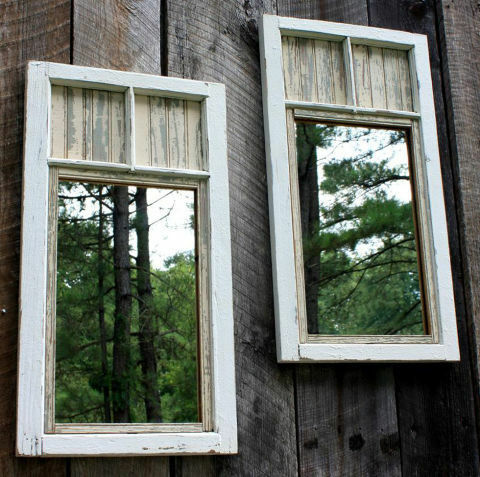 You can’t change the size of your backyard, but you can make it seem larger than it actually is by using this neat trick: Hang a few vintage mirrors on your fence so they reflect the surrounding greenery. 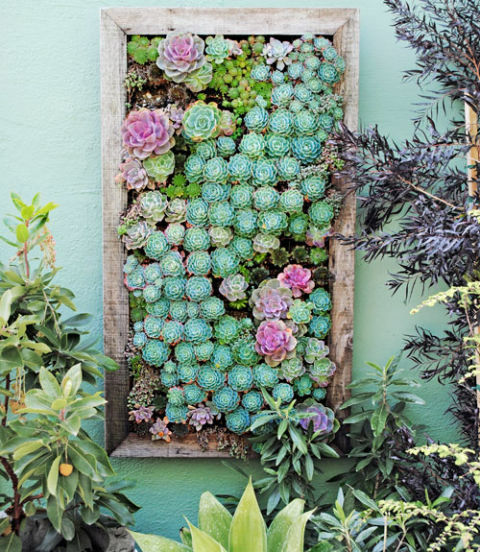 Use a rectangular plastic tray divided into planting cells to display an enchanting succulent garden like this one. 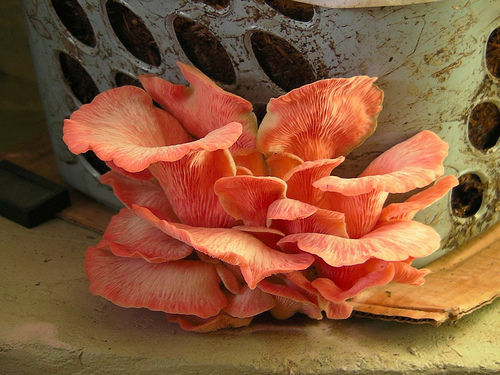 We didn’t need an incentive to drink more coffee, but now we’re glad we have one. 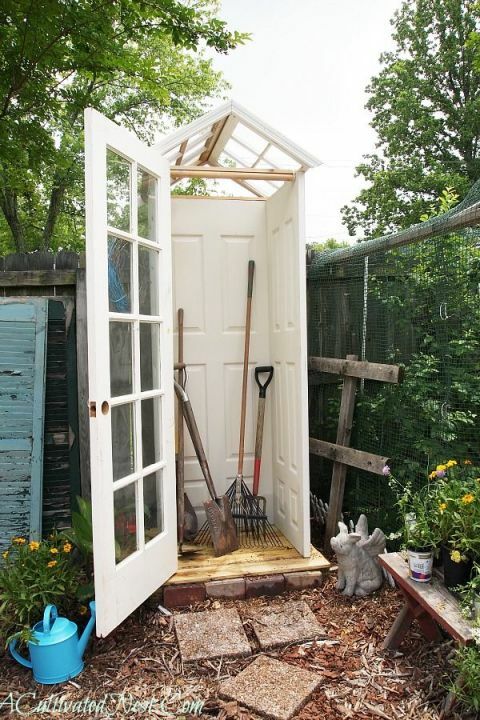 Tressling and the upkeep of tomato vines can take up a lot of space. 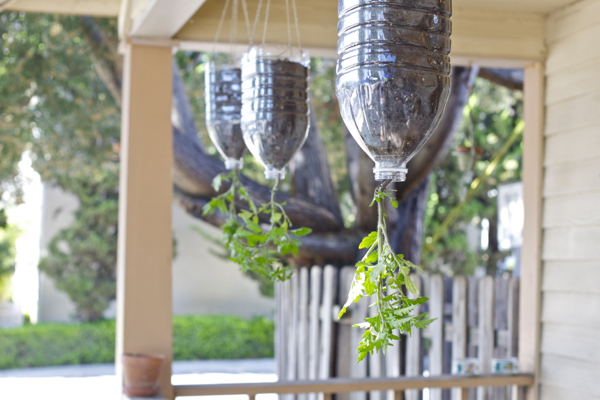 So, hang your tomatoes from the roof instead. No space? No problem. 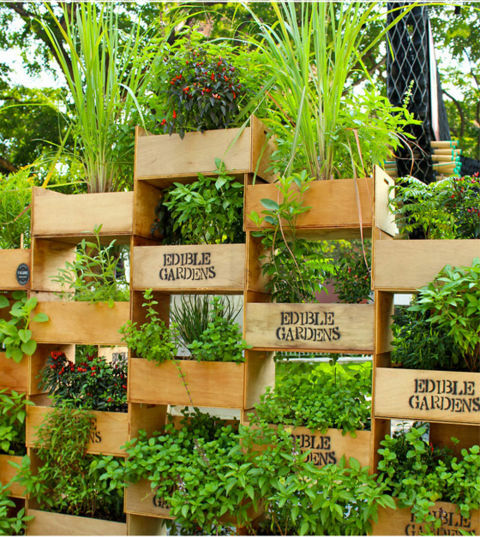 Put your garden on wheels. 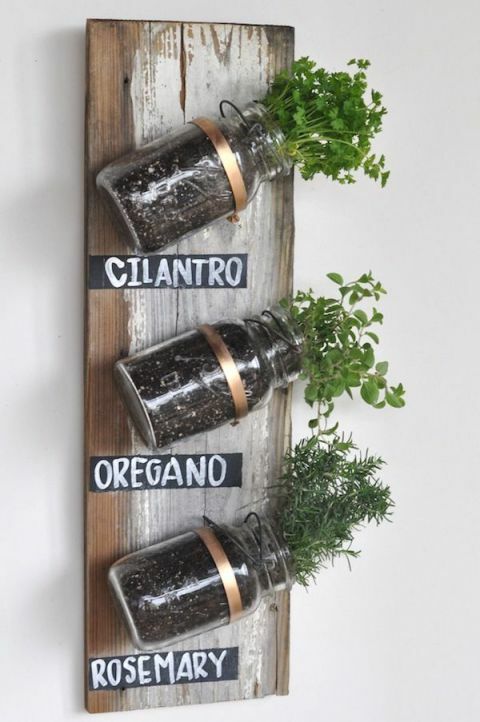 Use some Mason jars to plant a cute herb garden that can even be displayed inside your kitchen. 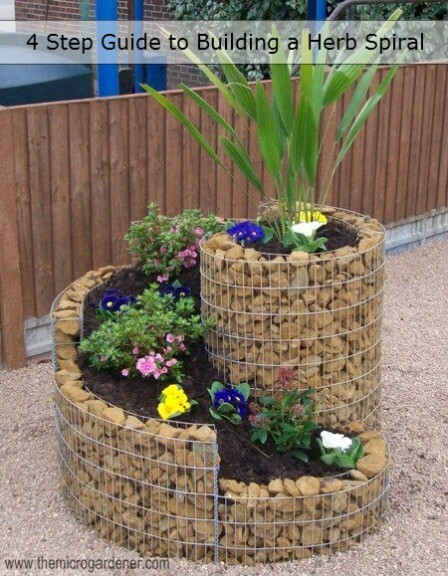 Stack your planters to make a tiered herb garden. 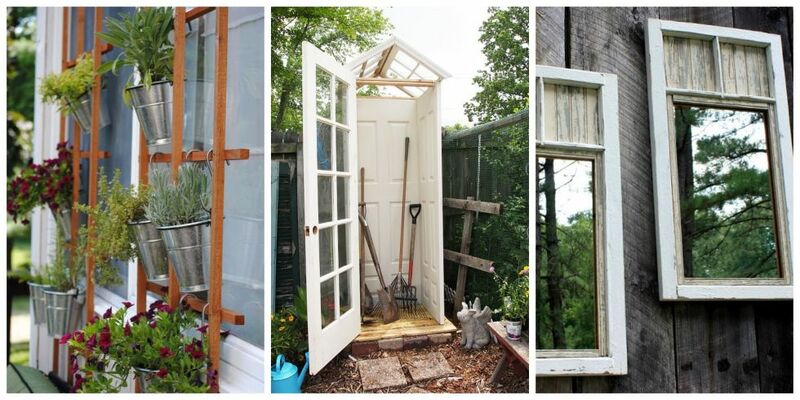 Repurpose old doors and windows into a cute mini gardening shed, just big enough for all of your essential tools. 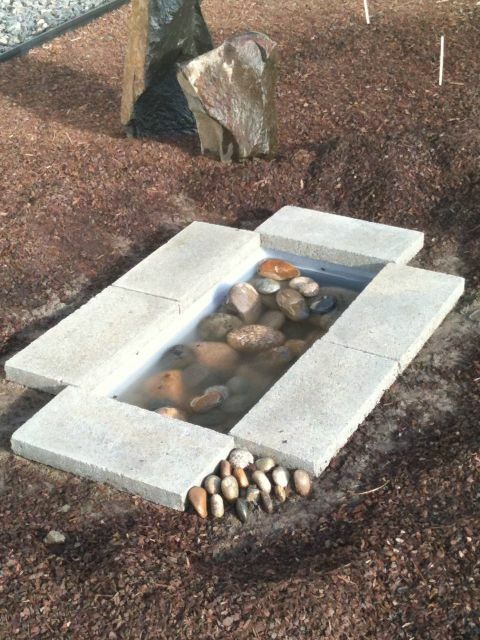 Want a water feature but don’t think you have enough room to install one? Not anymore. 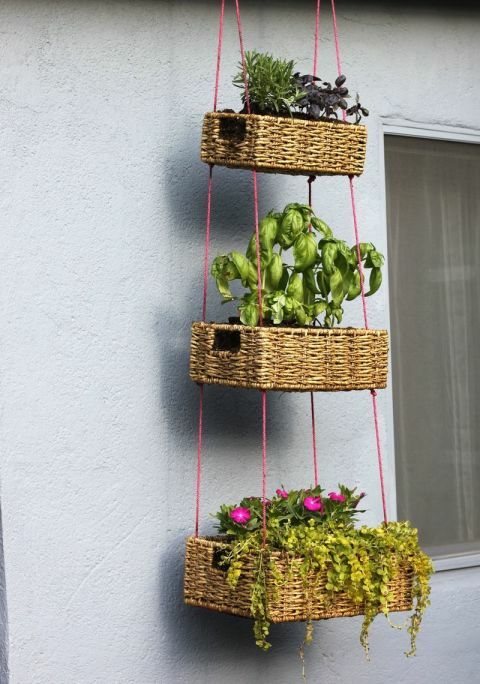 Another way to cram more greenery onto a backyard patio with minimal square footage—hang your plants in tiered baskets. 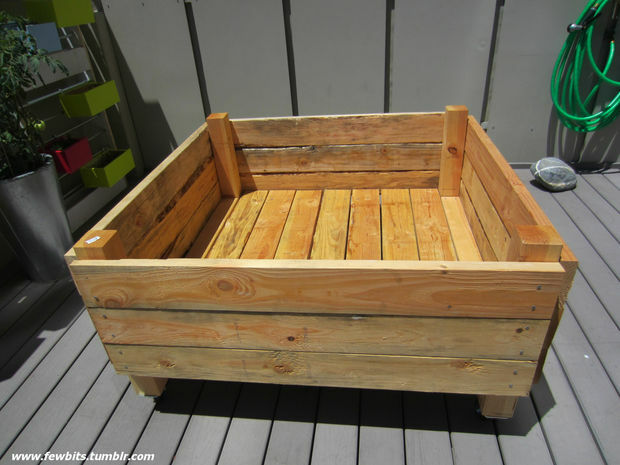 If you don’t have enough space for a built-in deck, these ares the perfect solution. 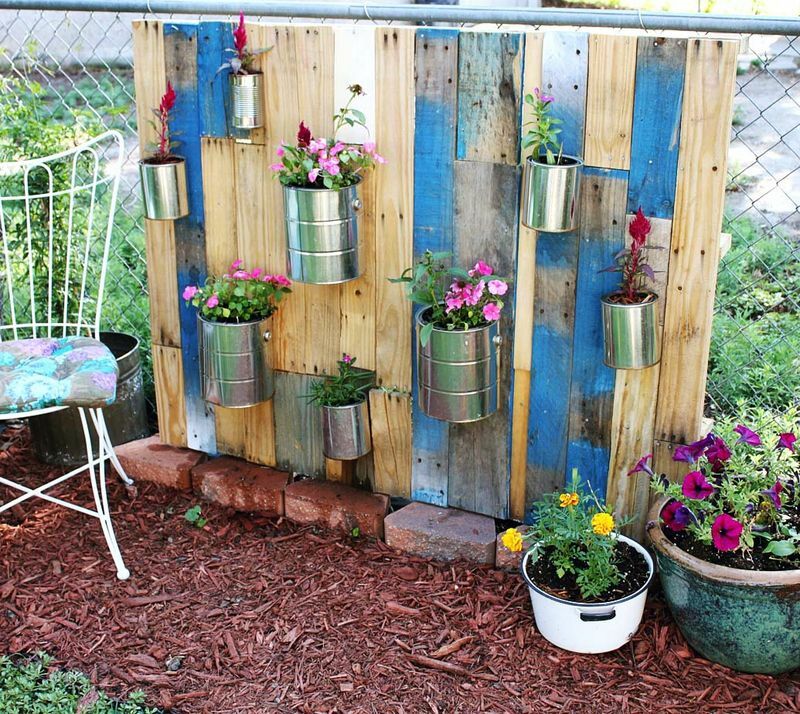 Make your own vertical garden by stacking crates. 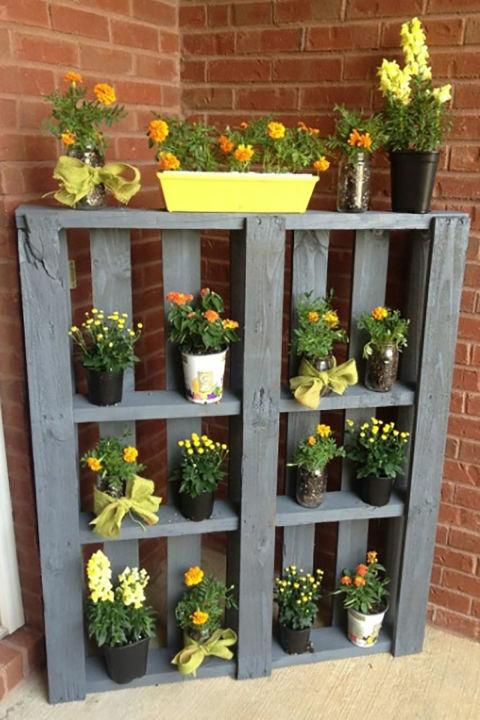 Make sure to reinforce them with wood planks! 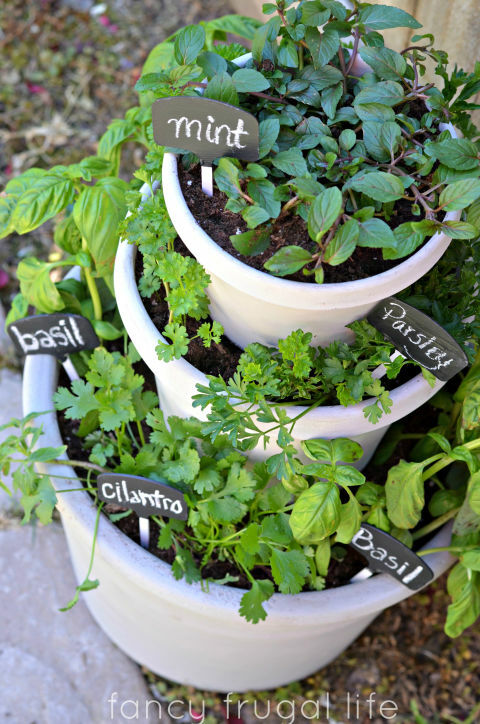 Use a rolling cart to hold a miniature herb garden that can be brought inside or kept outside. 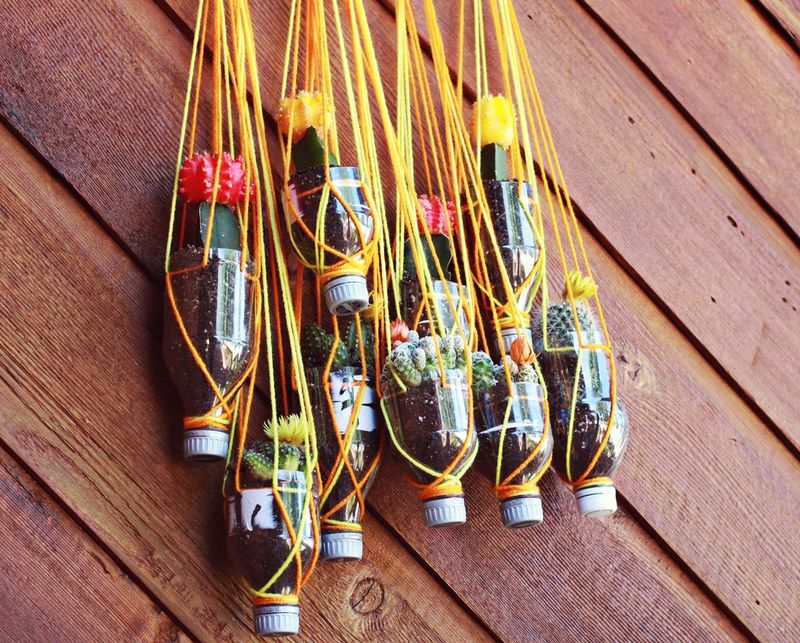 Add some color to your yard by hanging upcycled planters made from old soda bottles with colorful yarn.